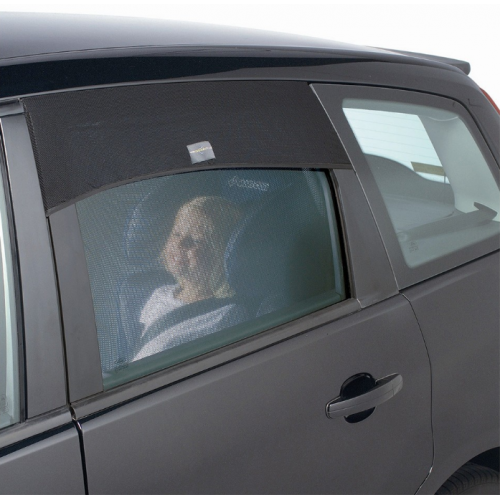 The Outlook® auto-shade™ covers the whole window to protect rear seat passengers from strong sun, glare, heat and insects. Ensure you have the correct shape for your car or cars - The rectangular auto-shade™ will fit most 4-door vehicles. If the rear window on your car has a sharply curved or angled outer edge, the curved auto-shade™ will fit better. If you are not sure which model would fit best, we would recommend you choose the rectangular shade, or contact us on info@babyland.com.au and we will assist you.